These beautiful Victorian perfume bottles are perfect for all your vintage card making, scarpbooking and paper craft projects. 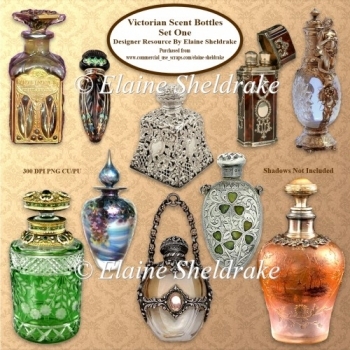 This set includes ten lovely vintage Victorian scent bottles and a backing paper. The set is for CU and PU Designer Resource which means the images can be used for Commercial Use or Personal Use. This set includes ten beautiful PNG digital images which I have digitally cleaned, they are all on transparent backgrounds and the backing paper is in JPG format. 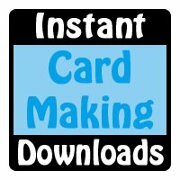 Perfect for scrapbook pages, card making and all manner of paper crafts. Commercial Use and Personal Use Designer Resource. They must not be used, sold or shared for CU4CU Resale purposes and they must be part of your own derivative design and sold in JPG fixed format.